As the weather changes from the sweltering heat to the crisp days of autumn, at Salthouse we have the perfect fall recipe. 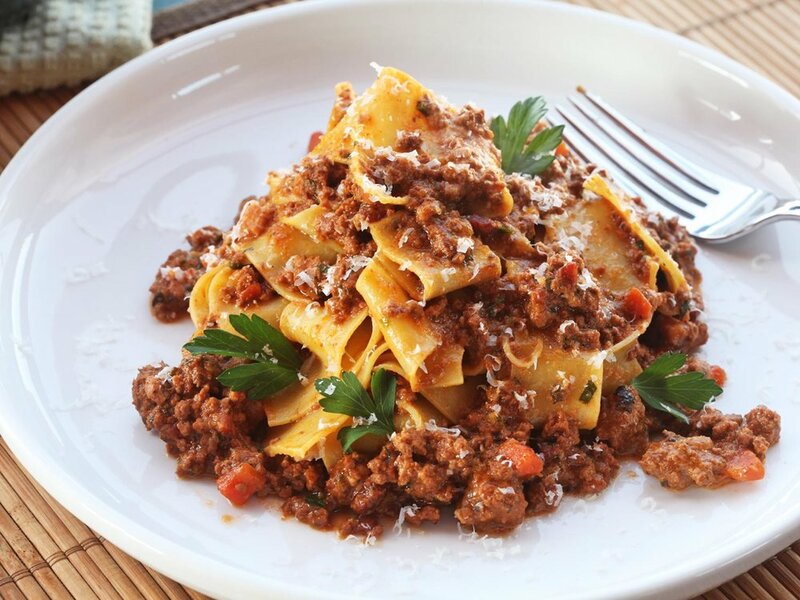 Our Bolognese sauce hits the spot for a wonderful autumn dinner party or just a night in with the family. Using half of the olive oil, cook the ground meat of your choice until it is cooked about 90% of the way. Drain the meat, and using the same pan add the rest of the olive oil and the diced pancetta. Cook this mixture for around 2-4 minutes. Put in the tomato paste and continue to cook for 5-7 minutes on medium heat. Next, pour in the white wine and simmer. Finally add in the tomato sauce, tomato water and cook slowly on low heat for the next fifteen minutes. Finish everything off with adding in the oregano, thyme, heavy cream, and salt and pepper. We recommend serving this sauce over short cut fettuccine. All guests are sure to enjoy this comfort food dish that will help the transition between summer heat and winter cold. This is one of our favorite classic recipes that will always be delicious.